Anti-Corruption Commission (ACC) has dismissed one of its assistant directors and suspended another for negligence in investigation and abuse of power. 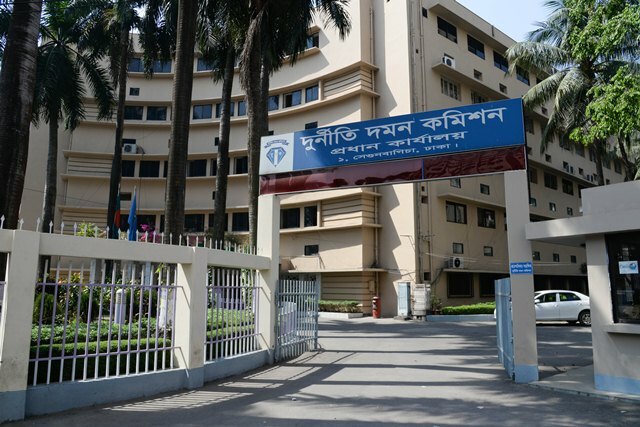 The dismissed ACC assistant director is S. M. Shamim Iqbal and the suspended assistant director is Bir Kanta Roy, ACC spokesperson Pranab Kumar Bhattacharya informed on Monday, reports UNB. “In a corruption case filed by Shamim Iqbal in the District Office of Khulna, the accused officer hid the file without submitting a charge sheet to the court for more than one year,” said the ACC spokesperson. On the other hand, ACC Assistant Director of Dinajpur, Bir Kanta Roy, has spent more than one year (384 days) in the investigation of a bank's loan fraud case. The ACC authorities found the proof after the investigation that Bir Kanta Roy made delays in an investigation by being influenced by the accused in some way. For this crime, he was suspended from the service, the ACC spokesperson said. ACC Director General (Administration) Mohammad Munir Chowdhury said, "This disciplinary action has been taken to ensure that the ACC officials and employees do not engage in corruption and misuse of power. Due to the establishment of institutional order, more stringent measures will be taken."